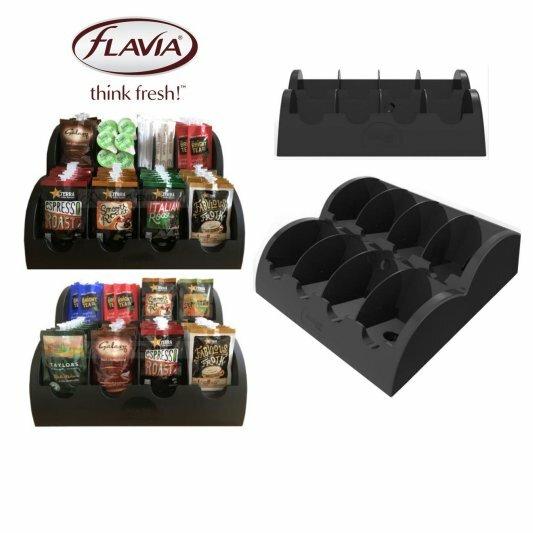 This Flavia merchandiser rack has the largest display selection available to showcase your awesome coffee setup! The 4 columns have a live display area on each to display an actual filterpack or an included placeholder card for sweeteners, creams, stirrers, etc... You can reduce the number of columns for smaller tables or fewer quantities. Each selection in this rack is a drawer that the user would pull for each selection in order to access the filterpacks in the drawer. There are also divider pieces that can be used within the drawers in order to offer 2 selections in the same drawer. 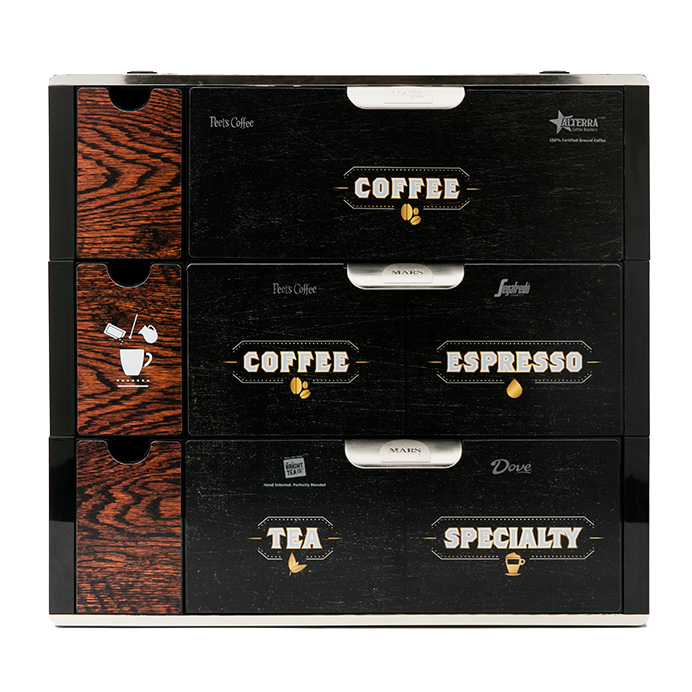 Gives a very professional appearance to a large variety of coffee, teas, specialty drinks, & ancillary products. The tokens are a great way to hand out little rewards to staff, customers, visitors, or even spouses!!! Replaces need for exact change or lost change since the coin mechs don't give change. Instead of fidgeting for change for a co-worker, just hand them a token. One token buys any beverage choice you have in stock. Sell them in groups of 5 or 10 at a time rather than bringing in a coin changer machine. A workplace designed solution to display and organize Mars Drinks Freshpacks. Designed to complement our smaller brewers or office drink areas with limited counter space, the Small Merchandiser maximizes space with a convenient small size and displays Freshpacks allowing for simple and quick navigation. The Small Merchandiser is easy to restock, maintain organized and is sturdy one-piece construction made with recycled materials. 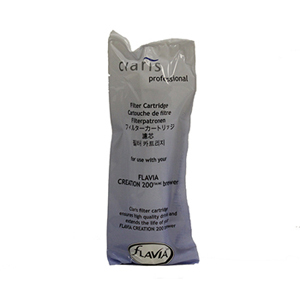 Each compartment can hold any type of Freshpack with no labels to maintain and is easy to clean. 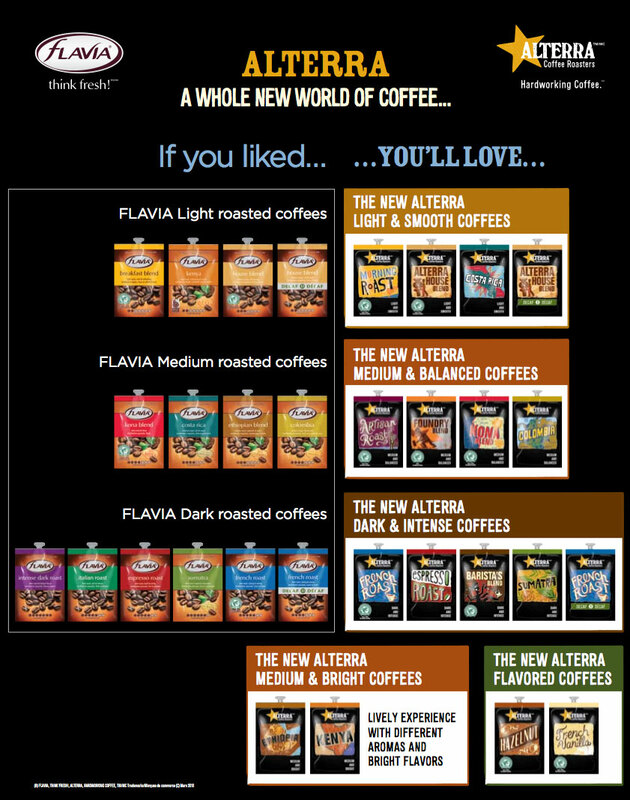 You may use any cup with your Flavia Brewers, but Flavia 10 oz. cups are available if you need them! These 10 oz cups are the perfect fit for those 2 pack beverages. 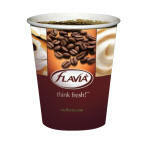 The water filters for the Flavia Fusion single cup coffee brewers. These filters only fit the FUSION model. 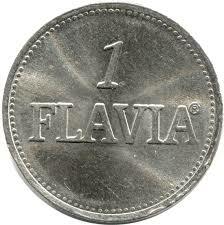 Flavia has stopped production of these filters, but a replacement may be coming. In the mean time, you can use the machine without a filter. Simply remove it and fill with water as normal. If you prefer, you can use water that has already been filtered. Replacement Internal Water Filter for either the C150 brewer or the C200 brewer. Does Not fit the Fusion machine.